Yes, we love pancakes and can't get enough. Here we are making yet another Korean pancake. It is a bit more labor intensive than other pancakes but we think it's totally worth it. Great for a rainy afternoon snack. 1. 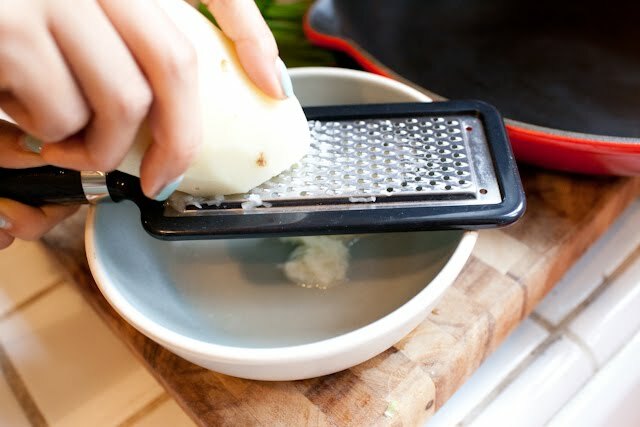 Peel the potatoes and grate them on a fine grater. 2. 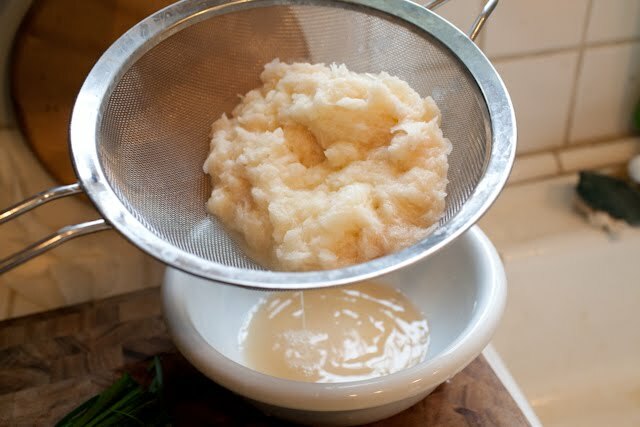 Put the grated potatoes in a strainer and let the water drain out. 3. 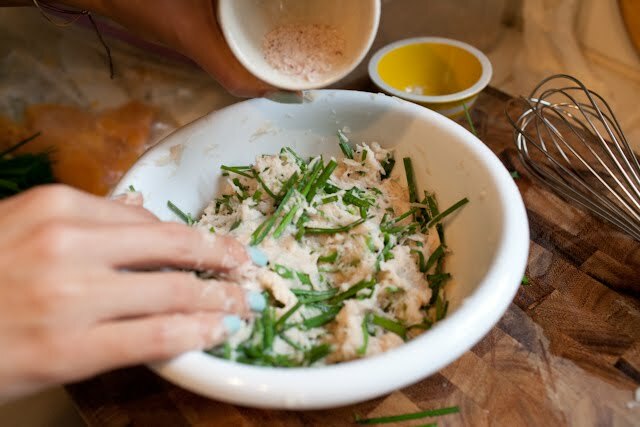 Add the Chinese leeks, pepper slices, and flour. Mix around. 4. 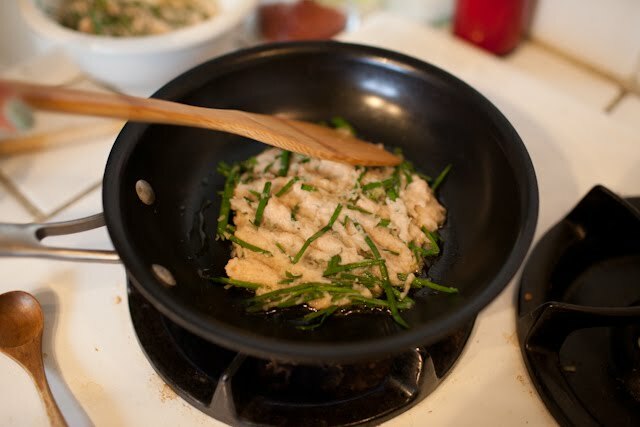 Heat some oil in a non stick frying pan and put a scoop of the potato mix in. You can adjust the size of the pancake to your liking. Use a spatula to spread it out and make a nice flat circle. 5. When the bottom is golden brown, flip it. Cook the other side until it is the same color. Enjoy with a dipping sauce. We use soy sauce, rice vinegar, and red chili powder. my mouth watered looking at this. so simple! must make some now! 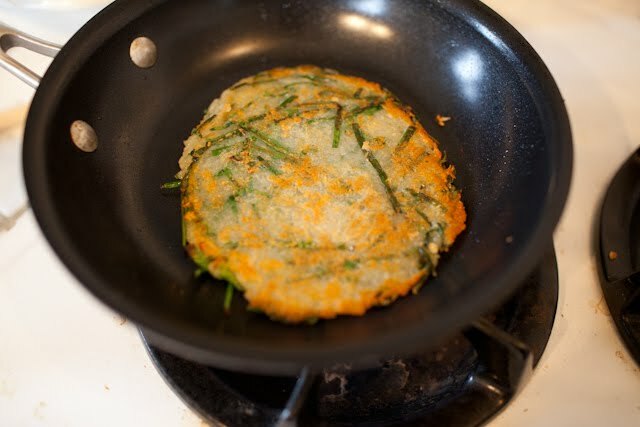 i love potato pancakes and this one looks especially tasty with that dipping sauce. it seems perfect for an April that is acting like autumn. wow this looks SO good. Yum, this looks delicious! 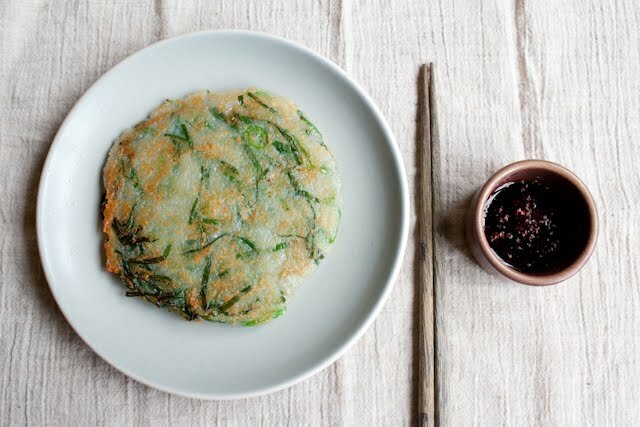 I need to make this and my other two favorite jeon, bindaetteok and dongtaejeon! mmmmm i love is potato!! !very good. This looks awesome and I bet it smells fantastic while it is cooking! OK, I just tried persimmons for the first time and I'm not sure what to do with them. They now have frozen Korean persimmons at Trader Joe's. Do you eat them or cook with them? If you cook with them, are there any recipes you can share? Thank you! I love your bag. its very simple and has great photography. Is that chives you're referring to?? that looks delicious though! love this! please keep on posting recipes. YUM! 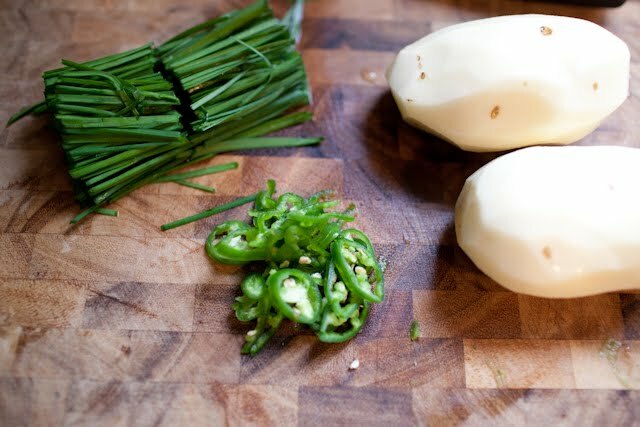 just made this and LOVED it-- are there other things you can put in it aside from the onions and pepper? This looks delicious! What an amazing blog - I'm sharing it with all my friends. Thank you!! This is absolutely amazing. I just made some, I added a little bit of ginger to the paste though. I am extremely grateful to you for this great content on blog. Thanks a lot for useful , information and blog . That's very nice. a great work here to post a nice blog . Really i like your blog . I will follow your blog.Thank you for everything . indeed I found a lot of things to read on this blog . Thank you .